Queen of the Clan: Book Cover Reveal for Elevated by Elana Johnson and a Cash Giveaway! Book Cover Reveal for Elevated by Elana Johnson and a Cash Giveaway! PS - Don't forget that today is the last day to cast your vote on my new series' town name. Now, on to Elana's awesome book! Find ELEVATED on the web! About the AMAZING Elana Johnson: Elana Johnson’s work, including Possession, Surrender, Abandon, and Regret, published by Simon Pulse (Simon & Schuster), is available now everywhere books are sold. Her popular ebook, From the Query to the Call, is also available for download, as well as a Possession short story, Resist. School teacher by day, Query Ninja by night, you can find her online at her personal blog or Twitter. 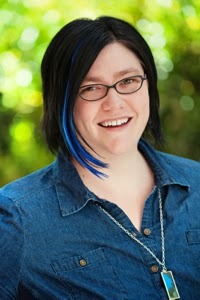 She also co-founded the Query Tracker blog, and contributes to the League of Extraordinary Writers. Enter below for a chance to win $15 PayPal cash!